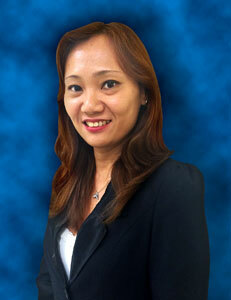 Bali, 14 March 2014 – Archipelago International is pleased to announce the appointment of Leonna Wong as the new Marketing Manager - Greater China. As part of the Sales & Marketing team, Leonna joins Archipelago International with more than 75 properties in South East Asia. Most recently, she held the position of Head of Sales - Asia Pacific at SRL Kanuhura - Maldives. Leonna comes to Archipelago International after a long and successful career in Sales & Marketing. With more than 14 years’ experience in the hospitality industry, she has fulfilled key roles such as Accounts Manager at Berjaya Hotels & Resorts, Business Development Manager at Holiday Villa, Sales Manager at Marriot Hotel, Retail Store Manager at Oceans Fresh Food Corporation, and Senior Sales Manager - MICE at Hilton Worldwide. “Archipelago International is a well-respected hospitality company and one of the huge players in South-East Asia. I am excited to be part of the team and utilize my experience and approach to providing top-notch service and support to customers in my territory. I’ve been immersed in the industry for many years and look forward to bringing more to the Chinese market by understanding the demands and finding a solution that best fits those needs.” Said Leonna Wong. As the new Marketing Manager - Greater China, Leonna will focus on evolving the go-to marketing team to grow the Chinese Market in all of Archipelago International's properties. She will also be responsible for navigating the rapidly evolving enterprise and channel markets, identifying new potential National and International Chinese-agents, and owning the vision, strategy and team execution. Leonna will report to Norbert Vas, the Vice President Sales & Marketing of Archipelago International. “With an increasing number of remarkable growth opportunities for Archipelago, we knew we needed to bring on additional resources. Leonna is the perfect candidate for the position as she is detail-oriented, dynamic, and brings an exemplary track record of success in hotels' Sales and Marketing. She will be a tremendous asset to our Chinese-clients both national and international,” said Norbert Vas, Vice President Sales & Marketing Archipelago International. Leonna will be based in Bali and looks forward to working with her commercial clients.